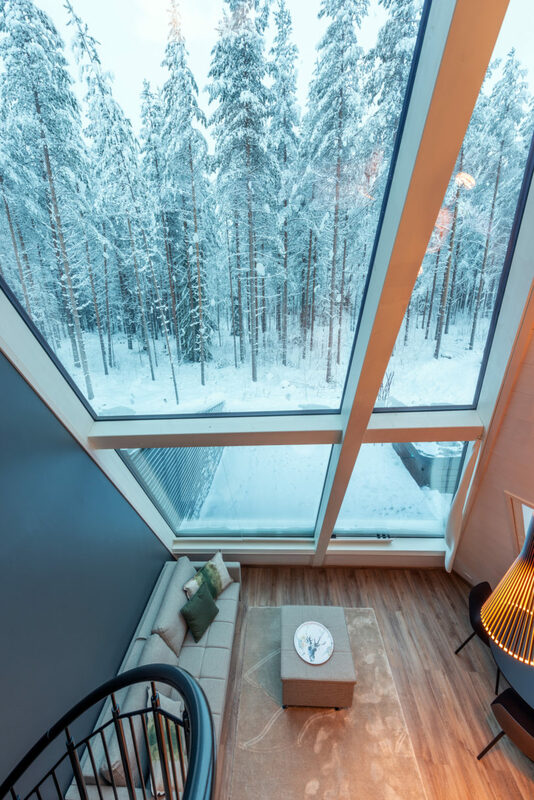 There’s a word in Swedish, “hygge,” to describe the pleasant feeling of cozying up, feeling content and warmed by the moment. 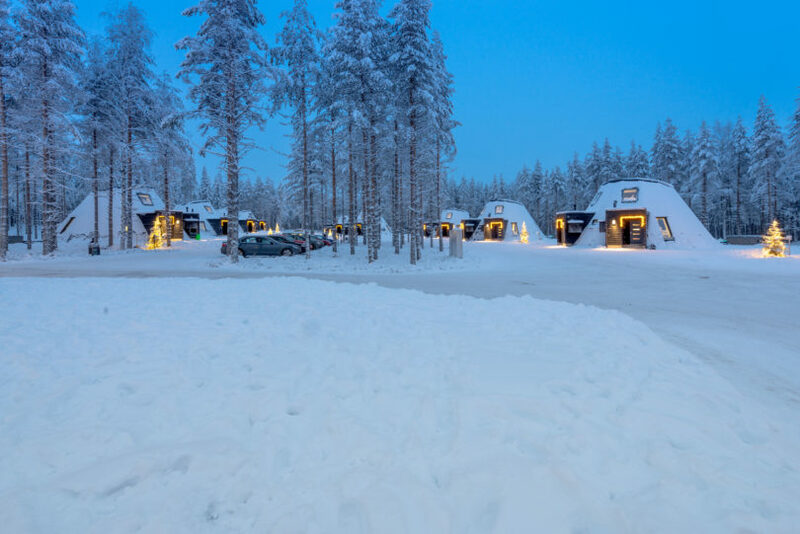 The Finns have taken it one step further: “päntsdrunk” is an act of lounging in your underwear with no intention of going out. 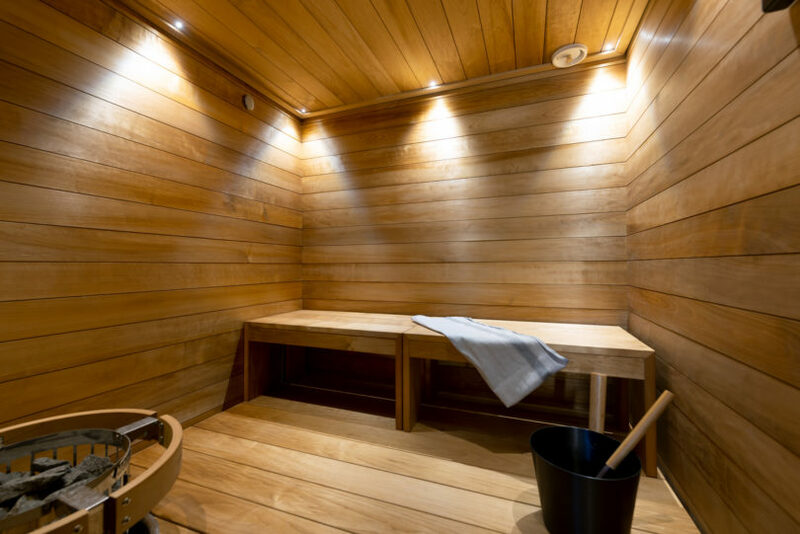 And we’ve found you the perfect place to do so. 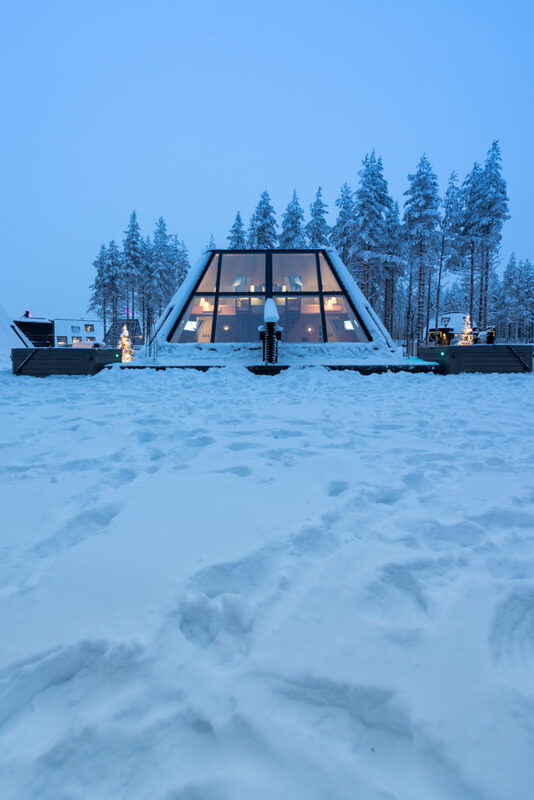 Finnish-Italian studio VOID Architecture and Finnish timber manufacturers Honkatalot– Polar Life Haus have reinvented traditional lodging with Glass Resort—a collection of wooden and glass houses in the Lapland forest. 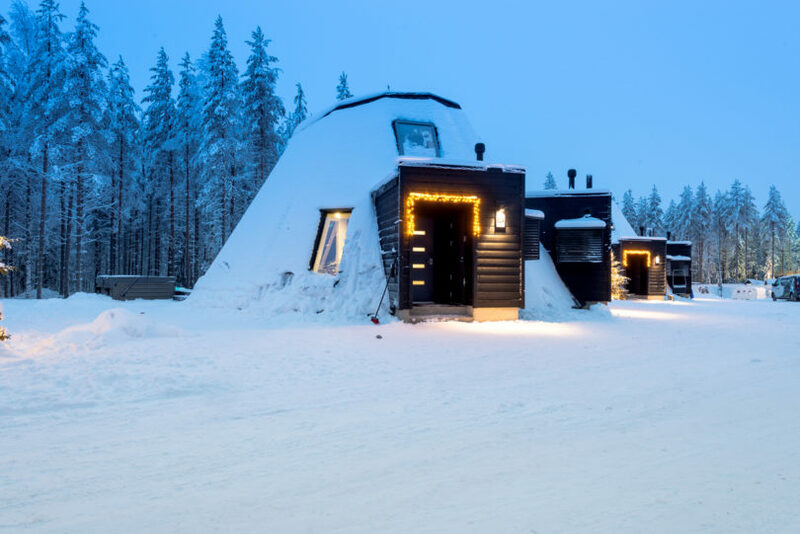 The traditional igloo is covered for warmth; these contemporary homes have large glazed exteriors to showcase the best Lappish features: thick forest, starry skies and northern lights. 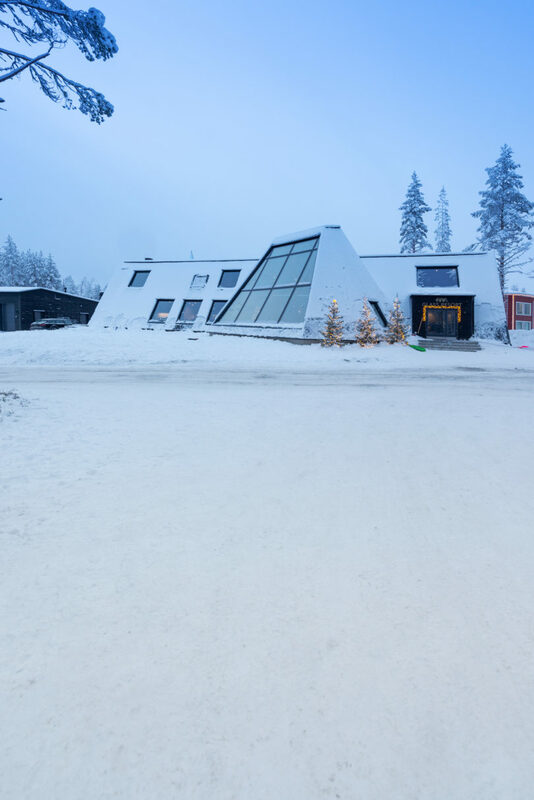 “We chose to prioritize the creation of interior spaces that would be interesting in themselves, that could really let users be inspired by the nature outside while awakening, at the same time, pleasing feelings and offering a positive experience,” said Paolo Caravello, architect at VOID Architecture. 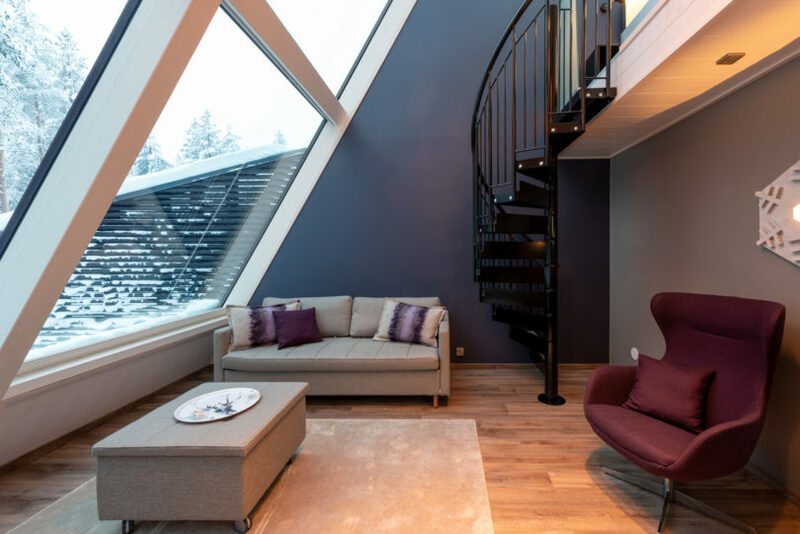 Each house contains two 40 sqm units and include a double-height living area, a balcony floor with a glass roof, a kitchen, and an individual sauna and outdoor hot tub terrace, so you can warm up undeterred by the frothing snow. 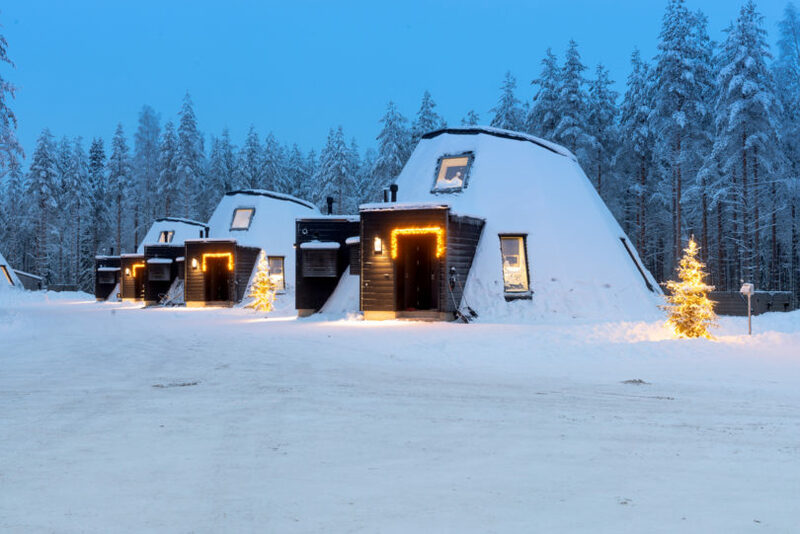 Highlights: A cluster of igloo-like houses in the Lapland forest combines privacy, warmth and openness. 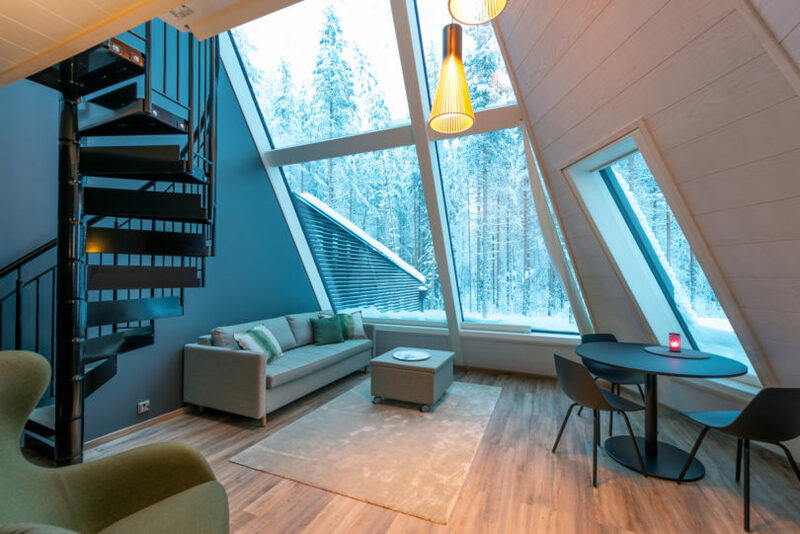 Design draw: Traditional timber homes meet glazed glass; full-height window views of the forest in the living area, bedrooms. 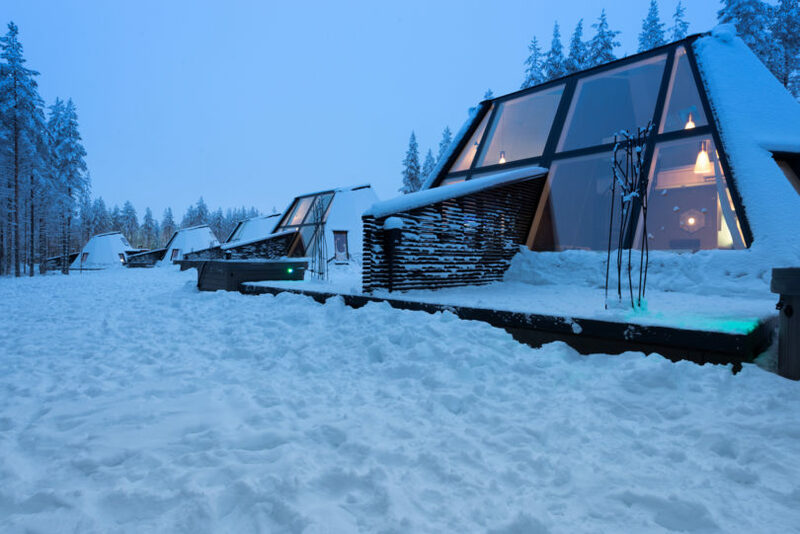 Book it: Visit Glass Resort.